What are the best steps to take as an axis player(Germany or Japan obviously since Italy goes after UK) to help deter the UK players from executing a Toratno(spelling)?? Any thoughts or reccomendations? German Air Force in Italy to scramble helps, any other ideas? My opponent yesterday sent two subs G1 to sink my Cruiser in SZ 91. She went to the bottom without even knowing what has happened. I tryed to make him pay for this by scrambling the RAF in SZ 110 but just killed two planes and the BB. I still went Tarento with what forces avalaible on the Med and got lucky, sinking everything in SZ 96 and 97 and losing only the CV and DD. All my planes landed in Malta. I used my strategic bomber in Britain and my Canadian destroyer to sink the two little bastards subs at Gibraltar. 1. Sink the Cruiser in SZ 91 with two subs. 2. Try to have the British fighters in G-B scramble (not avalaible for Med). 3. Send a German fighter at Southern Italy’s airbase to help defend the fleet. And if the odds for your Tarento defense are too bad, don’t scramble your planes and let the Luftwaffe clear the remaining Royal Navy ships on G2. Germany should land some fighters in S Italy. But even having the ability to scramble three isn’t much of a deterent. There really isn’t anything the axis can do to stop Taranto, Germany doesn’t start with any ships in the Med and Japan is too far away. The only thing Italy can do is send all their infantry to Vatican City and pray for good dice! The only thing that has deterred me personally if the German opener where they skip the SZ111 attack and use 3 Subs in 106. One plane goes to Italy and the rest land in a manner that they can be used to hit the surviving British ships wherever they go in the Atlantic. If the UK wishes to try and make sure their ships go down fighting G2 then the SZ97 attack will be skipped in order to keep air assets available. The Bomber (might) be used with the 109 DD to try and hit the German Subs off Canada, which is a big impact already on the odds at SZ97. Thanks! Yep, that’s what we did, we just played another round before calling it. Agree with Ike here: it really depends on what the rest of the board looks like. Some options from my own experience: 1. If Moscow falls G9 this means Germany has channeled a lot of resources east. Strong counter for the allies is to land 40+ units in western Europe. Most likely even Western Germany and then push back west (liberating France) and south (taking out Italy). In the meantime Berlin should be maxed out every turn. Of course Japan must also be prevented a win in the Pacific first priority (defensive spending). 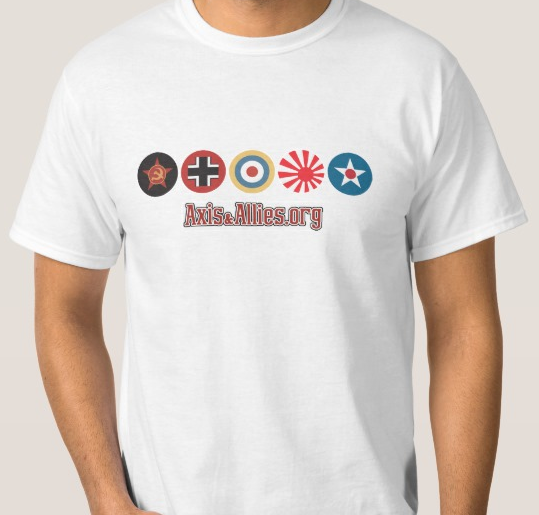 If the allies went ‘Japan First’, this option may not be available to you since it requires minimal spending in the Pacific (i.e. a defensive budget rather than an offensive one). 2. If Moscow falls G9 after the allies went ‘Japan First’ (assuming CaÃ¯ro is still allied controlled), the allies must of course start channeling more untis into CaÃ¯ro/Middle East than the axis can. And/or into London, depending on what the axis targets are. Hopefully they are able to do so and start pushing the axis back. Alternatively you can try to liberate another VC. If the allies can build up a huge invasion force/shuck from Gibraltar, they have the flexibility to try to liberate Paris or aid the defense of CaÃ¯ro. Defeating Germany after Moscow fell with no meaningful allied threat in the west already in place is no small thing to do… As the Axis I have noticed that hunting down VC’s too aggressively really means putting their heads on the block (like in option 1 above). IMHO for the axis it is best to be patient. Aim to stabilize economic balance and then jump in the gap the allies have left you. A few examples: 3. If the allies go Europe First (while still preventing Japan a 6VC win), Germany best prevent the allied landings at all costs. This takes away a LOT of resources from the eastern front so Moscow should be safe (except when Russia built too much ‘wrong’ units). In Russia, Germany + Italy need to aim for a defensive perimeter as far eastwards as possible in order to be able to contest or defend rich Russian territories. Japan should secure India if it doesn’t already have it under control and then make a deep strategic calculation (4/5 turns ahead); will it be possible to grab Hawaii/Sydney if the USA defends it with all its resources while Japan goes all-in to take it and hold it? Will Japan also be able to hold all other VC’s? Could Japan ‘trick’ the USA and then suddenly swing east when it is too late or is the USA-player a bit Pacific-ignorant and do you think he/she will continue that? If Yes, go grab this last VC. Otherwise, just match the allied (USA) forces and offensive spendings in the Pacific and send the rest to contest the Middle East/Africa. From India (Naval Base), Japan can invade Africa in 1 turn. If Japan cannot take it, can Japan convoy it? I once lost too many indian ships too soon and as a result, got convoyed all the way from the Persian Gulf to the Brazilian coast by Japanese submarines… I could go on and on with options, particularly about allied strategies for late game ‘JF’ course of events and the axis responses but I think other players have more experience with this and I already wrote quite enough for now ;-). to answer why im not attacking the US fleet off Hawaii……just too much risk at this point and have more die points in range of the Carolines…im waithing for him to move away from Hawaii where id have more die points and more ships in range…besides its the start of T-4 and i have China completely out of the game and gonna start harrassing the USSR. If he moves to the Carolines i will strike and if i win that battle convincingly the war could be over. Sorry thinking OOB. Either way my point is still their. Either way you go, while that power is going to get beat to hell the other half of the world just grows to strong. In our games Germany gets up to 60+ ipcs by round 5 or 6, and Japan is still not knocked out but they usually do in round 7. USA effectively gets +31. albeit split on two sides. Japan and Germany can potentially make a bit more money. Especially with those two ICs to make haste and the mechanized infantry rule changes (which in practice usually benefits Japan). The race is on! More action less turtling. May have to minus one of the added ICs to japan.